Tuskegee, Alabama- USDA Secretary of Agriculture, the Honorable Tom Vilsack addressed attendees of the 68th Professional Agricultural Workers’ Conference (PAWC) at Tuskegee University, Tuskegee, Alabama on December 7. This year’s theme was Empowering Underserved Farmers and Rural Communities by Changing Legislation, USDA Eligibility Requirements, and Program Delivery. Dr. Mellion-Patin conducted the 7th session of the Small Farmer Agriculture Leadership Institute as part of the pre-conference workshops, December 4-5. Class participants numbering more than 30 arrived from various states to attend PAWC, and two of them asked questions during the Q&A session with Secretary Vilsack. Dr. Owusu Bandele, Professor Emeritus, horticulture and organic agriculture, SU Ag Center gave the George Washington Carver Public Service Hall of Fame Awards Banquet Lecture. 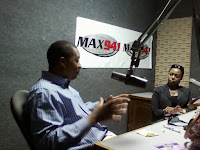 Dr. Gina E. Eubanks presided over this event. Conference participants representing Southern University Agricultural Research and Extension Center include: Dr. Gina Eubanks, Vice Chancellor for Extension, Dr. Dawn Mellion-Patin, Extension Specialist and Director of the Small Farmer Agriculture Leadership Institute, Dr. Bridget Udoh, Communications Specialist, Mrs. Zanetta Augustine, Extension Associate, Mr. Eugene Runles, Farm Superintendent, Ms. Lisa Gray, Research Associate and Mr. Terry Washington, Extension Agent (Rapides Parish). Baton Rouge, LA - Dr. Joe Leonard, USDA Assistant Secretary for Civil Rights is scheduled to speak at the Southern University's Global Food Security and Plant Biosecurity Symposium on November 9, 2010. Dr. Leonard will give remarks on Tuesday, November 9 at 9:30 am at the Southern University Royal Cotillion Ballroom, Smith-Brown Memorial Student Union. Leonard will address symposium participants including students, guests, staff, administrators, community and faculty members. The Symposium will feature presentations and demonstrations from scientists and professionals working on the frontlines of global food security and plant biosecurity from Land-Grant Universities as well as various federal and state agencies. The symposium will also feature graduate students' research in Global Food Security. An awards luncheon will be held on Tuesday to honor urban forestry graduate students for their outstanding achievements in Global Food Security. Students who completed Plant Biosecurity Internships during the summer of 2010 will receive a special recognition. The Symposium is sponsored by the USDA/NIFA 1890 Capacity Building Grant awarded to Dr. Daniel Collins, entitled “Graduate Education and Training in Global Food Security and Agricultural Bio-security.” Collins is Professor of Plant Pathology in Urban Forestry Program at Southern University and A & M College, Baton Rouge. 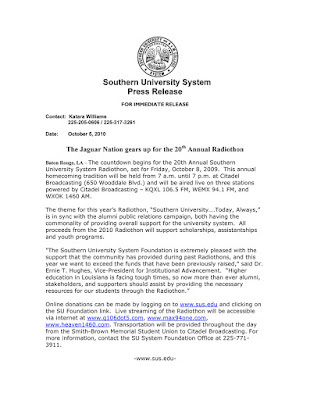 For further details, please contact Collins at: 225-771-2242 or via email: daniel_collins@subr.edu. WASHINGTON, Oct. 20, 2010 – USDA Under Secretary for Rural Development Dallas Tonsager today issued a report on how the agency's distribution of loan and grant funds provided to the agency through the American Recovery and Reinvestment Act of 2009 (Recovery Act) has helped the Nation's rural residents. The report estimates that millions of business owners and agricultural producers; Internet users, and thousands of homeowners will benefit and over 300,000 jobs are being created or saved. The job estimates contained in the report are derived from recipient reported data or program-based economic models. "With Rural Development's loans, grants, and loan-grant combination financing for new and existing programs, we have leveraged our Recovery Act funds to ensure the greatest bang for the taxpayer's buck, allowing our agency to make unprecedented and lasting investments in rural America," said Tonsager. "I am proud of what we have accomplished over the last two years towards building livable, innovative, and sustainable rural communities." 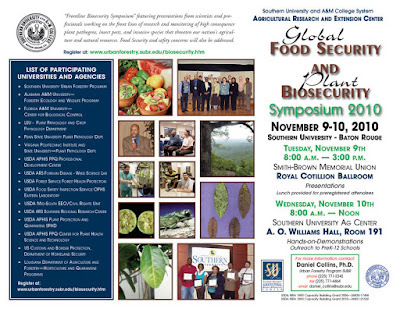 Baton Rouge, LA - Scientists and professionals who are working on the frontlines of Global Food Security and Plant Biosecurity research will gather at Southern University and A & M College Baton Rouge, on November 9-10, 2010, to uncover potential threats to our nation’s natural resources and agriculture. They will participate in the university Global Food Security and Plant Biosecurity Symposium. 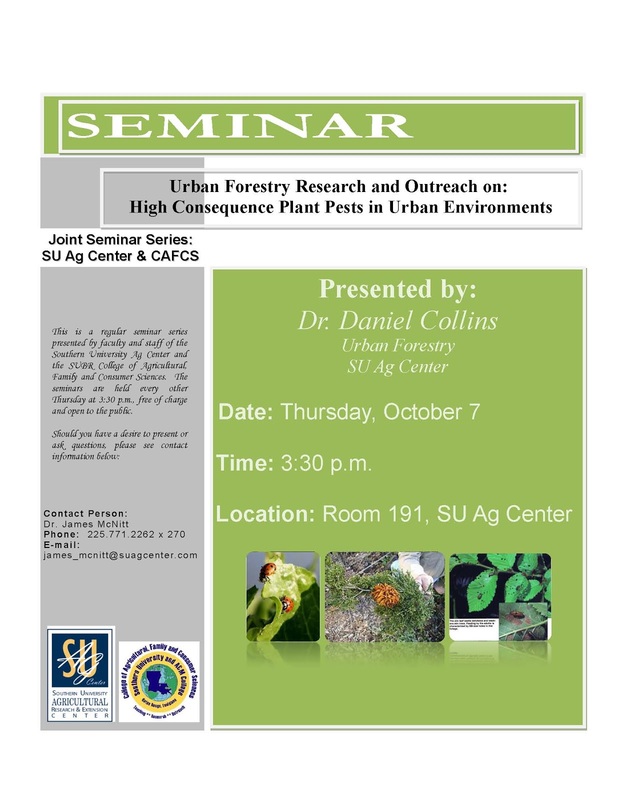 “This symposium features presentations and demonstrations from researchers at universities, state and federal agencies that are monitoring high consequence plant pathogens, insect pests, invasive weeds that threaten our nation’s food security and renewable natural resources,” says Daniel Collins, professor of plant pathology and symposium organizer. Opelousas, LA - The Southern University Agricultural Research and Extension Center will be having a ribbon cutting ceremony to celebrate the new headquarters for the Southwest Center for Rural Initiatives (SCRI) on Wednesday, October 27 at 2:00 pm. The SCRI operates as a satellite entity of the SU Ag Center whose mission; in its land-grant role, is to conduct state-wide basic and applied research and to disseminate information to the citizens of Louisiana in a manner that is useful in addressing their scientific, technological, social, economic, and cultural needs. The SCRI serves a 10-parish region in Southwest Louisiana. Those parishes include: St. Landry, Lafayette, Vermilion, Acadia, St. Martin, Pointe Coupee, Avoyelles, Beauregard, Allen, and Evangeline. For the past five years, the SCRI has been housed in a temporary location at 242 S. Liberty Street in Opelousas. “This is a great day for the Southern University Ag Center! It’s been a long and tedious journey to this day,” says Chancellor Leodrey Williams. This accomplishment is due in part to the interest and tireless efforts of several elected, appointed and community leaders. The new headquarters is located at 1209 Diesi Street, Opelousas, LA 70570. The SCRI was created as an extension of the Louisiana Center for Rural Initiatives. The Center coordinates and links university-based needs and strategies to address the current status of socioeconomic conditions, with particular emphasis on rural and persistent poverty areas. Please click below to view flyer. 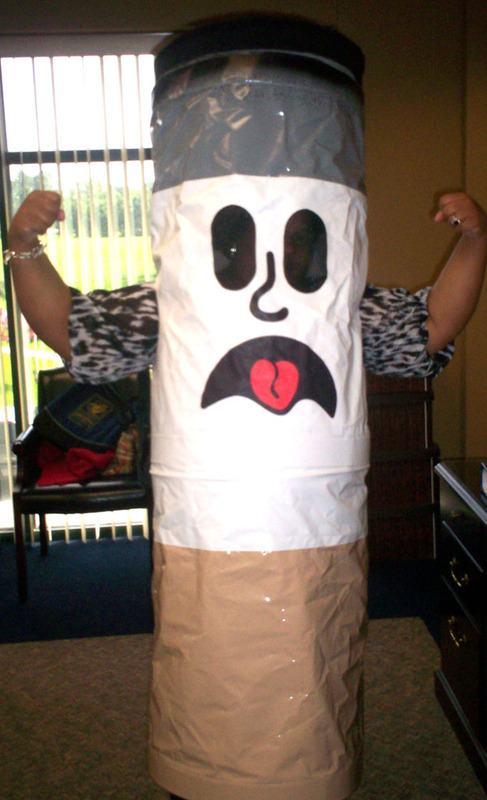 The Communities of Color Network is spreading a tobacco-free message to youth with help from a friend, "Mr. Ciggy Butts." Ciggy Butts became a part of the Communities of Color Network in July 2010. He began his statewide travels in Baton Rouge, at the Southern University Agricultural Research and Extension Center's Family and Youth Expo. Since then, he has traveled throughout Southwest Louisiana with a Regional Coordinator. While on his journey, Mr. Ciggy Butts used his friendly appearance to remind youth that the tobacco companies use symbols, language, pictures and flavorings to trick them into thinking that tobacco products are not harmful. He also told youth about the over 4,000 dangerous chemicals found in tobacco smoke and the dangers of secondhand smoke exposure. Mr. Ciggy Butts will continue his statewide travel with his next stop in the New Orleans area. Escherichia coli O157:H7, a deadly bacteria, has gathered attention as a major public health concern due to the large outbreaks and associated recalls in recent years. Cattle are often implicated as a source of this foodborne pathogen. Scientists at the Southern University Agricultural Research and Extension Center say on-farm production practices may affect the pathogen load of cattle entering slaughter facilities, however, information is limited on the impact of production practices of small-scale cow/calf operations, where calves are raised primarily on pasture until shipped to feeder cattle finishing sites or to the abattoir. “Understanding the factors that affect prevalence of E. coli O157:H7 in these cow/calf operations can be a critical path in the farm-to-fork continuum, and targeted educational and research efforts are useful risk management strategies,” said Divya Jaroni, Ph.D., food microbiologist, Southern University Ag Center. She has been involved in food safety research for the past several years with emphasis on strategies to control foodborne pathogens. She has assembled a team of experts who will help look at the problem from different perspectives. The project will be carried out in collaboration with Louisiana State University and Texas Tech University. The study will determine the prevalence of E. coli O157:H7 on small cow/calf farms located in Louisiana and Texas. The project will also address pre-harvest food safety issues associated with the small-scale cow/calf operations. “Through this study, we can enable cattle farms to compete against larger operations by helping them implement effective on-farm management strategies and possibly reduce E. coli within the farm environment and on the cattle before shipping to stock barns,” said co-project investigator Renita Marshall DVM, assistant professor and livestock programs director, Southern University Ag Center. The researchers will study the prevalence of E. coli under different herd, farm and environment conditions across several farms. Guidelines for on-farm Best Management Practices will be developed and the effectiveness of these practices in reducing E. coli O157:H7 on small-scale cow/calf operations will be validated. All producers will be trained on pre-harvest food safety and best practices, and researchers will follow the changes in E. coli populations on their farms after implementing the practices. This project will contribute to the Southern University Agricultural Research and Extension Center’s goal of strengthening the productivity, profitability and competitiveness of Louisiana’s agriculture. Other project investigators are Marlene Janes, associate professor, food microbiology, LSU; Mindy Brashears, associate professor and director for the International Center for Food Industry Excellence, Texas Tech; Todd Brashears, assistant professor, agricultural education and communications, Texas Tech; Mark Miller, professor, meat science and muscle biology, Texas Tech; and Guy Loneragan, associate professor, animal science, West Texas A&M University. 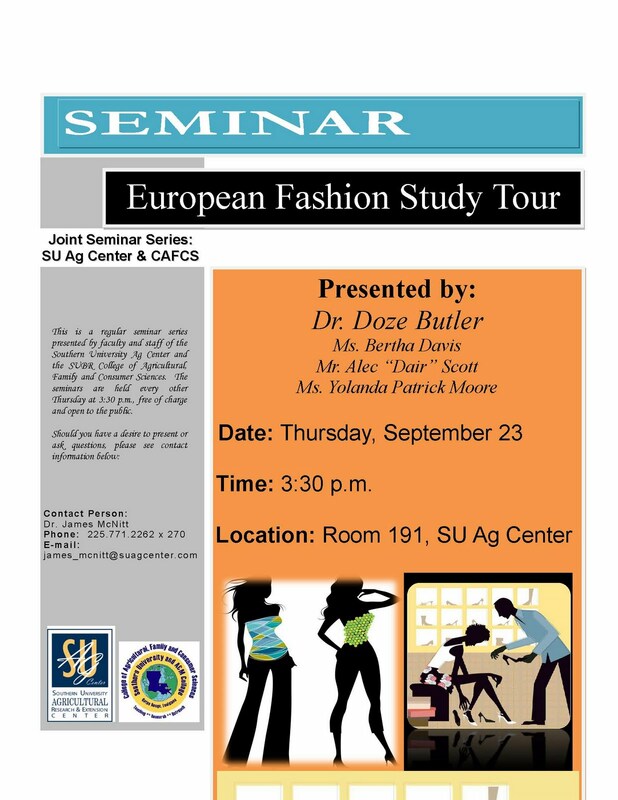 For further information, contact Jaroni at the Southern University Ag Center, (225) 771-2262 ext. 255. or divya_jaroni@suagcenter.com. The sight of oil spilling into the Gulf of Mexico has put officials on high alert and many people on edge. The possible economic impact of the spill is just part of the fear. "The ecosystem has been experiencing multiple stressors," said Abdollahi. "It's been under stress from climatic conditions and also by the fact that we are losing our coastal wetlands." Abdollahi said this spill could be even more devastating to the ecosystem than a hurricane, depending on how much oil gets into coastal waters. "If we look at the food chain, the phytoplanktons would be impacted directly from the toxicity from the oil," said Abdollahi. As rescuers save animals like a seabird recently found covered in oil, Abdollahi is looking at the bigger picture. He is concerned about the organisms on the lower end of the food chain, like algae. He said the oil spill could wipe out the food birds depend on. 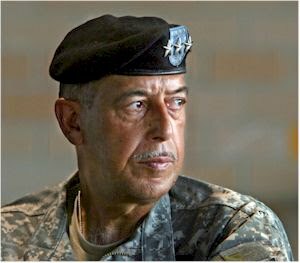 "We are sensing an urgent need for us not only to deal with this immediate scenario, but also go back and look at our plans. What we do or do not have in place that we need to incorporate," said Abdollahi. He, along with a group of scientists from Southern University's Agricultural Research and Extension Center, plan to go to New Orleans next week, where they will monitor the residual impacts of the oil spill. Cattle producers are invited to a Beef Cattle Field Day on Saturday, May 15, at the Southern University Ag Center, M.A. Edmond Livestock Arena, Highway 61N, in Alsen. The field day will include lessons on beef production, forages, nutrition, herd health,pesticides, weeds, Estrus synchronization, artificial insemination, body conditioning and scoring, Louisiana Cattle Market, and mixed-grazing research. Lunch is provided to registrants. Registration begins at 8 am. Speakers include Dr. Chris Robichaux, county agent, St. Martin; Dr. Divia Jaroni, food microbiologist, and Christie Monroe, assistant director, livestock show programs, Southern University Ag Center; and Crispen Kinner, county agent, Nacogdoches, Texas. 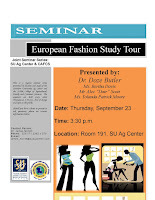 To register, contact the Southern University Ag Center Livestock Show Programs Office at (225) 771-2242. 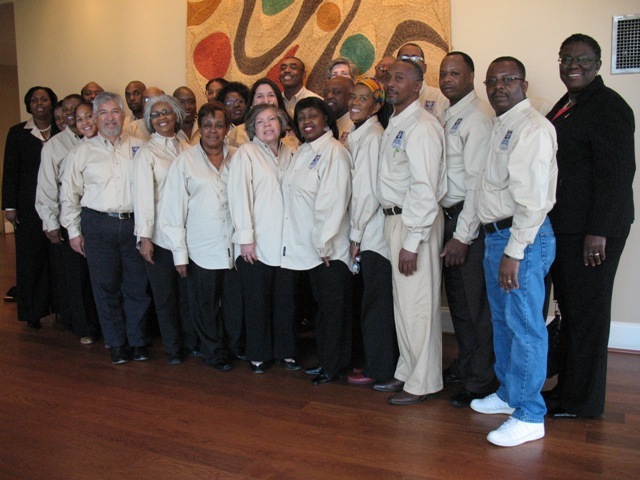 The 3rd class of the Small Farmer Ag Leadership Institute training took place at North Carolina A&T State University, March 18-20. More than 30 participants from 12 states gathered for hands-on learning in and out of the classroom. Classroom session presenters and topics included: Mike Lanier, Agribusiness agent, Orange County Center—How to Direct Market Local Farm Products; Robin Adams, director of agricultural communications, School of Agriculture and Environmental Sciences, NC A&T SU—Make It Plain: Communication for Success; Gary S. Bullen, extension associate, North Carolina State University—Tools, and Methods of Evaluating a New Enterprise; Carmen Humphrey, chef, Marketing Grants and Technical Assistance Branch—An Overview of USDA/Agricultural Marketing Service and Programs that Benefit Small Farmers; and Michelle Eley, Extension, NC A&T SU—Establishing an Effective Marketing Plan. The trip culminated in a small farm tour of the Center for Environmental Farming Systems. The small farm tour included visits to the high tunnels/greenhouse, blueberries/raspberries, crop rotation/livestock rotation and post-harvest handling facilities. Immediately following the training session, positive feedbacks were noted on Facebook sites. Second came the headline: Trip to North Carolina Yields Immediate Benefits from Phoenix Gardens in Georgia. “Just got back from my AG Leadership session in North Carolina. Saw a lot of great stuff and got a TON of great information,” posted Brennan Washington on Facebook. Washington is continuing his journey as a member of Southern University's Agricultural Leadership Institute. “We learned about a growing tube that we plan to put into use in our melon growing project this sum-mer. As is always the case, I came home with information that would immediately help me in my quest to sustainably grow food here in Law-renceville, Georgia. Thanks to Southern University and North Carolina A&T,” Brennan concluded. Dawn Mellion-Patin, PhD, agriculture specialist, is director of the Small Farmer Agricultural Leadership Training Institute. Four Louisiana students arrived in Washington, D.C. last month to attend the 2010 National 4-H Conference in Chevy Chase, Maryland. The six-day conference consisted of youth delegates from 49 states and two countries representing 1862, 1890, and 1994 land grant colleges and universities. The youth delegation from the SU Ag Center were: Kaylon Benjamin, sophomore, Lafayette High School; Jeremi Edwards, junior, La Grange High School; Darrell Griffin, sopho-more, St. Helena Central High School; and Kori Williams, sophomore, Thurgood Marshall Early College High School, New Orleans. Supervis-ing the group were Wanda Burke, PhD, youth development specialist, and Hendrix Broussard, assistant area agent, Orleans Parish. The youth participated in roundtable discussions about their respective state programs and shared ideas that they could take from other states and use to make an impact on youth back in their home communities. The delegates got a chance to tour his-toric landmarks, witness the changing of the guards at the Tombs of The Un-known Soldiers, and see the 911 me-morial at the Pentagon. They also met with some elected officials from Lou-isiana to address youth issues in their communities. They met with Congressman Charlie Melancon, Congressman William Cassidy, Senator David Vitter, and an assistant to Senator Mary Landrieu. Another highlight of the trip was meeting Oscar award-winner Monique while at the airport in New Orleans. Glenn Harris is the luncheon keynote speaker for the 2010 Fair Housing Summit being held at Southern University Agricultural Research and Extension Center on Thursday, April 22, 2010. He is the Manager of the City of Seattle’s Race and Social Justice Initiative (RSJI). The Initiative works to eliminate institutionalized racism in City government and promote multiculturalism and full participation by all residents. Glenn previously served four years as the Southeast District Coordinator for the City of Seattle Department of Neighborhoods. Southeast is one of Seattle’s most diverse neighborhoods; 80% of residents are people of color and of those 40% are recent immigrants. As the liaison between the City and the many diverse communities within southeast Seattle, Glenn worked with residents, neighborhood groups, business associations, and issue-based organizations to inform the community of City program and policies, while also responding to residents’ interests. Glenn came to City government after four years association with Western States Center, a Portland-based nonprofit that provides technical assistance, training, research and policy analysis in an eight-state region to organizations working to achieve social change. Glenn was the Center’s development director and anti-racism trainer. The City of Seattle Race and Social Justice Initiative builds on the work of the civil rights movement and the ongoing efforts of individuals and groups in Seattle to confront racism. The Initiative’s long-term goal is to change the underlying system that creates race-based disparities in our community in order to achieve racial equity. In addition to Harris, presenting at the Summit are: James Perry, Executive Director of the Greater New Orleans Fair Housing Action Center, James Gilmore, CEO of Bayard Research Group LLC, Rhonda Jackson, Manager of OXFAM America Gulfcoast Program, Atty. Marla N. Williams, Executive Director of Louisiana Housing Alliance, Kenyetta Nelson-Smith, Assistant Specialist of Community and Economic Development at the Southern University Ag Center, and Edward Ashworth, Louisiana Budget Project Director for LANO. Seven sessions will convene including four tracks of training for participants. Workshop topics and panel discussions will include: Community Benefits Agreements; A Portrait of Louisiana; and Residential, Rental, Lending and Insurance Housing Issues. 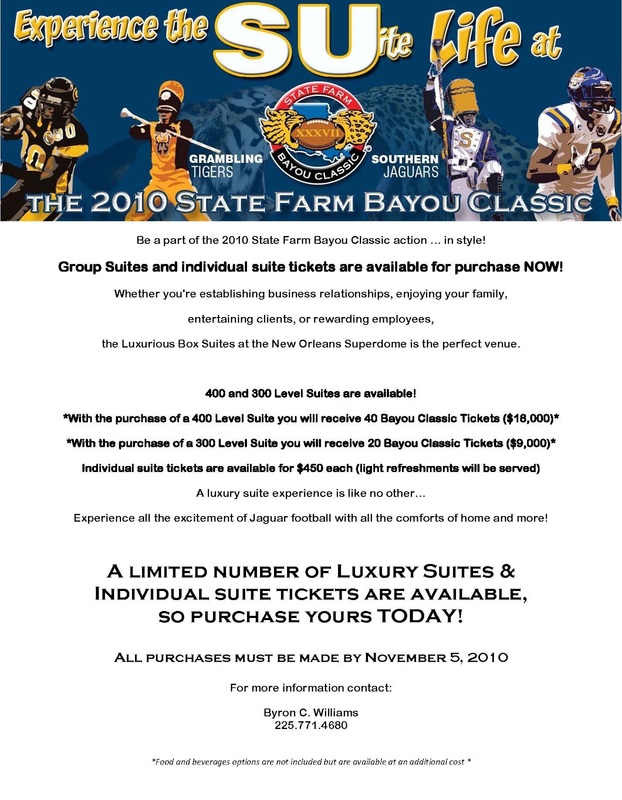 Co-sponsors for this event are: UREC, Southern University Agricultural Research and Extension Center, Capital One, Louisiana Housing Finance Agency, Capital Area Alliance for the Homeless, Louisiana Housing Alliance, The Homeownership Center, Greater New Orleans Fair Housing Action Center, Wells Fargo, Greater Baton Rouge Community and Economic Development Coalition, and Louisiana Housing Community Economic Development Collaborative. For additional information, contact UREC at (225) 356-8871 ext. 211 or visit www.urecbr.com to download the registration form from UREC’s Resource Library. 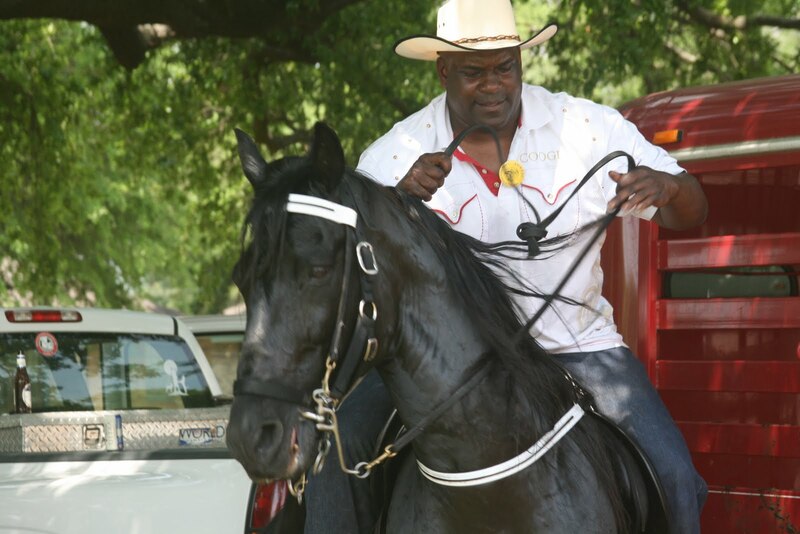 Vincent Williams, president of LA Posse Trail Riders, Lacombe, Louisiana, was a first timer at the Southern University Ag Center's annual horse show and trail ride this weekend. Williams is 1992 SU alumnus and has been showing horses and trail riding for more than 30 years. He found out from other riders about the SU show and decided to join the fun. Now, he plans to return next year because "it was a pleasure". He joined more than 400 horsemen, women, and youth who gathered at the M.A. Edmund Livestock Arena for the annual competition that is organized by the Center's Livestock Show Programs Office. Members of the Bayou State Trail Riders saddled up at the Monroe Civic Center, yesterday heading to Southern University in Baton Rouge for the 40th Annual Horse Show and Trail Ride this weekend. The trail ride will camp overnight in Archibald, Winnsboro, Clayton, Ferriday, St. Francisville and Baton Rouge and make special stops at schools along the route. The journey is scheduled to last seven days, ending with the riders joining more than 500 riders who will gather at the Ag Center's M.A. Edmond Livestock Arena in Alsen, Friday, April 16. 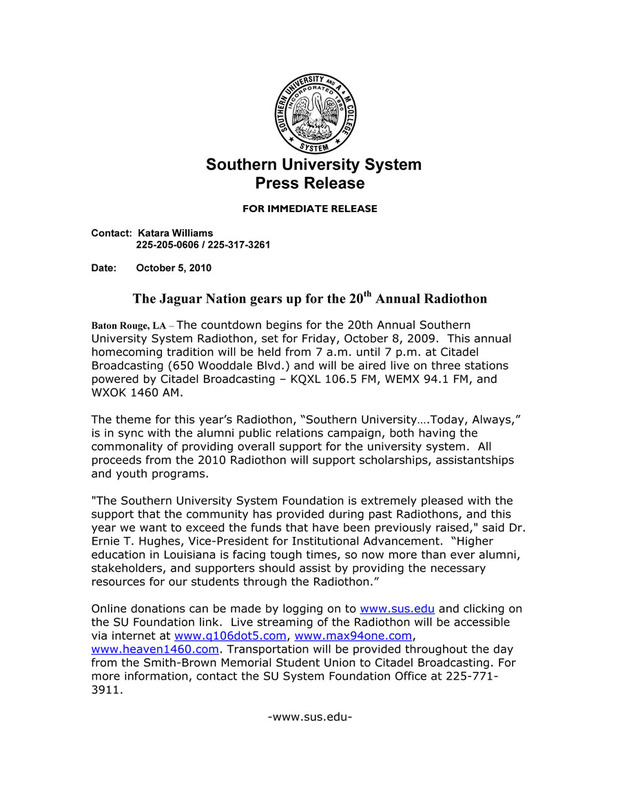 The group will make a scholarship presentation at Southern University's Baton Rouge campus, Friday at noon. On Saturday at 2 pm, trail riders will caravan from F.G. Clark Activity Center, through North Baton Rouge and into the arena in Alsen. Horse show events include: timed horse events, stick horse events for kids, gaited horse show, music by Keith Frank and the Soileau Zydeco Band. Horsemen and youth will compete in pee-wee, open, old timer, and junior barrel; tie-downs; break aways; team roping; steer dogging; and steer undecorating. German engineer Lothar Göcke of Aargus Electronic Gmbh will present sonic tomography during an April 19 workshop on tree decay detection at the Southern University Ag Center. A principal engineer during development of sonic tomography since 1997, Göcke will discuss sonic tomography, electric impedance tomography, and static tree pulling tests for assessing tree stability. Topics will include: sonic tomography for detection of tree decay; electric impedance tomography and how to use it in combination with sonic scans; instruments for tree pulling tests; and effects of Hurricanes on trees. On-site demonstration of the electric impedance tomography and pulling test instruments. To participate, request a registration form from Dr. Yadong Qi, professor of urban forestry at yadong_qi(at)suagcenter.com or (225) 771-2242. The workshop is free and open to the public. 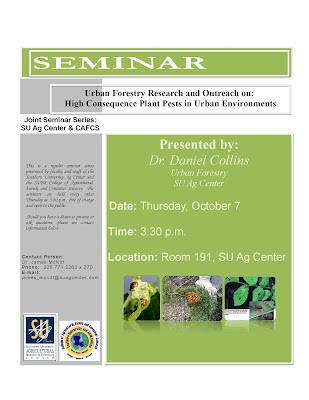 Hosted by the Southern University's Ag Center and and Urban Forestry Program. Last month, Southern University hosted the 16th Career Development Event for FFA Region IV chapters. 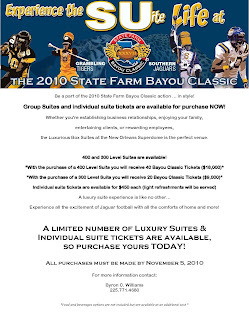 One of the event organizers William Augustine, research assistant with the Southern University Ag Center, was interviewed about the 1,100 students who traveled to the campus to participate in seven competitions. 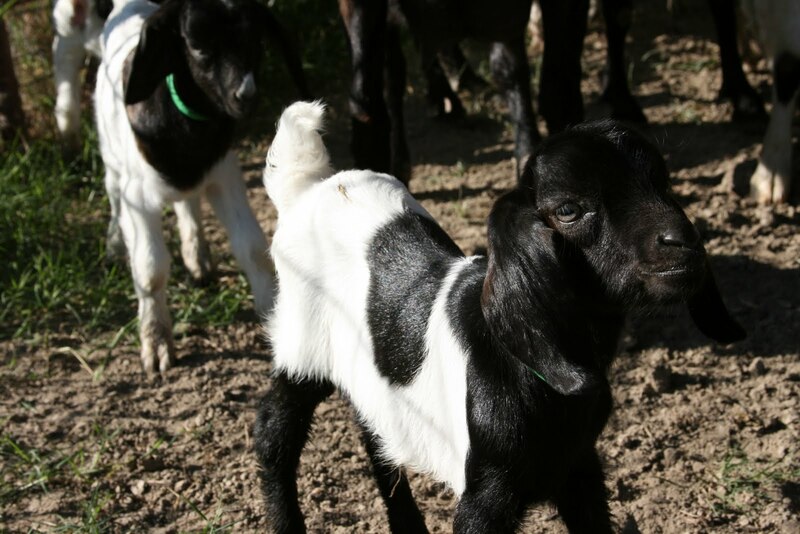 The latest research-based information on raising small ruminants – sheep and goats – will be presented at two consecutive events: a continuing education session for extension agents and veterinarians on April 23 and a field day for producers on April 24. Both events will be at the Louisiana State University School of Veterinary Medicine in Baton Rouge. Registration for the April 23 continuing education sessions will begin at 9 a.m. in room 1212C of the School of Veterinary Medicine on Skip Bertman Drive between Nicholson Drive and River Road. The sessions will begin at 9:30 a.m. on small ruminant herd and flock health and parasite control. Lunch is included in the registration fee and will be followed by sessions on nutrition for show and commercial production and grooming and management essentials. Continuing education fees are $20 for agents and $50 for veterinarians to receive five hours of credit from the Louisiana Veterinary Medical Association. Speakers include Dr. David Pugh from Fort Dodge and Dr. Christine Navarre and Dr. Jim Miller from LSU. The April 24 Small Ruminant Producer Field Day will feature speakers on the status of small ruminant production, grazing and forages, carcass yields and meat characteristics from different breeds, management and marketing for new and existing sheep and goat enterprises, and target marketing. Afternoon demonstrations will be on farmer market booths, FAMACHA training for parasite loads, and routine management practices. Registration fees for the producer field day are $10 for an individual and $20 for families, with an additional $10 fee for FAMACHA certification. Field Day registration begins at 8 a.m. in the same room and will start at 8:30 a.m. Field Day speakers include Stuart Gardner from Natural Resources Conservation Service; Curtis Chisley from Southern University; and Blake Ryals of Ryals Goat Dairy in Mississippi. The events are co-sponsored by the LSU AgCenter, LSU School of Veterinary Medicine, and Southern University Agricultural Research and Extension Center. Producers, veterinarians and agents can pre-register or obtain additional information on the two events from Ken McMillin at 225-578-3438 or kmcmillin@agcenter.lsu.edu; Jim Miller at 225-578-9652 orjmille@lsu.edu; Sebhatu Gebrelul at 225-771-2262 or sebhatu_gebrelul@suagcenter.com; or Lisa Gray at 225-771-2262 ext. 316 or lisa_gray@suagcenter.com. More than 400 business owners and contractors had the opportunity to network and meet contracting officers and purchasing agents for local, state, and federal agents during the Sixth Annual Connecting Businesses with Contracts Procurement Conference on March 23. “They also received excellent information on how to successfully market their business, as well as, pointers regarding the new Disadvantaged Business Enterprise American Recovery and Reinvestment Act Bonding Assistance Reimbursable Fee Program, along with the Small Business Administration Surety Bond Guarantee Program that now guarantees up to $5 million,” said Gloria London, director of the Center for Small and Rural Business Development at the Southern University Ag Center. This procurement conference brings together potential and existing contractors, entrepreneurs and government agencies for business match making opportunities. “Through this (free event) participants increase their knowledge and skills about business development, contracting and business sustainability,” said Eual Hall, business development specialist with the Center. Representatives from the United States General Service Administration discussed federal supply schedules, and the U.S. Department of Agriculture provided pertinent information on food commodity contracting opportunities. The Louisiana State Contractors Licensing Board and the Louisiana Office of State Purchasing presented steps to becoming licensed contractors and participating in other state contracting programs including the Hudson and Veteran initiatives. 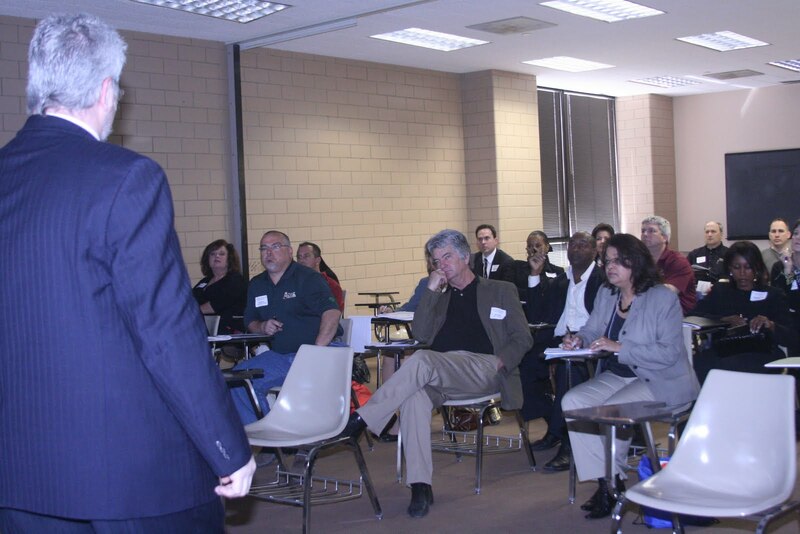 The procurement conference is hosted annually by the Southern University Agricultural Research and Extension Center and its Center for Rural and Small Business Development, Louisiana Small Business Development Center in Baton Rouge, United States Small Business Administration, Louisiana Procurement Technical Assistance Center, and Louisiana Economic Development. Chevron North America Exploration and Production Company, Communities of Color Network, USDA Rural Development, Southern University System Foundation, Entergy, DEMCO, and Urban Restoration and Enhancement Corporation were sponsors. 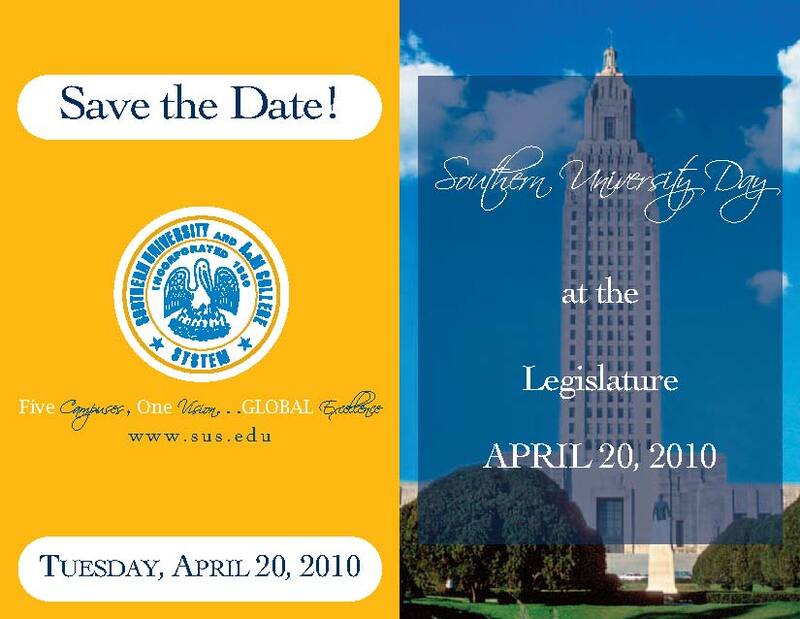 Next year, this conference will be held on March 29 at Southern University. Louisiana farmers and producers who need to know how receive funds from the recent black farmer discrimination lawsuit are invited to the Southern University Ag Center and LSU Hammond Research Station next week to learn more. Last month, the USDA and the Department of Justice announced a $1.25 billion settlement for farmers claiming they suffered racial discrimination in USDA loan programs. Under the terms of the new settlement, individual farmers may demonstrate their entitlement to relief through a non-judicial claims process. The Louisiana Association of Cooperatives and the Fiduciary Management Group, LLC, will host two meetings pertaining to the process, the Pigford settlement, key financials of the settlement, what farmers are eligible, and the three classes of farmers affected. The meetings are: Friday, April 16, 2010 at the LSU Hammond Research Station, 21549 Old Covington Highway in Hammond at 11am; and Saturday, April 17, at the Southern University Ag Center, Bldg 181 B.A. Little Drive in Baton Rouge at 11am. The Southern University Agricultural Research and Extension Center will host the 39th Annual Rabbit Show, Saturday, April 10, at the M.A. Edmond Livestock Arena, on Highway 61N in Alsen. Show activities begin at 8:30 a.m.
With competitions in 16 sanctioned rabbit breeds, this show is the largest in the state. Organizers anticipate more than 250 youth exhibitors showcasing their rabbit. Participating youth represent FFA chapters, 4-H Clubs, and other school groups. The annual event that teaches leadership skills, character development, and entrepreneurship skills. The Rabbit Show is sanctioned by the American Rabbit Breeders Association, and is co-sponsored by the Louisiana Rabbit Breeders Association. Southern University's division of Family and Consumer Sciences at held its 9th Annual Ethnic Awareness Day featuring Nigeria, Africa. 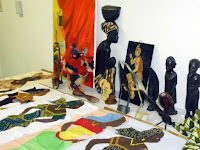 The highlights of the day included art, culture, dance, food, and music. “Today, I’m going to learn about the culture and try a little bit of everything on the menu,” said Jennifer Nwafulume, a mass communication student, referring to a table behind her covered with different Nigerian dishes. The presentation was given by Oscar Udoh, PhD, coordinator for planning and evaluation, SU Ag Center. He was born and raised in Nigeria. Other presenters were Anthony Igiede, assistant professor, sociology, and Justin Egbe, research associate, SU Ag Center. Nigerians in the U.S. One in particular taught her the value of reading. Doze Y. Butler, associate dean, division of Family and Consumer Sciences, said “our college is rich in ethnic diversity,” mentioning that students and faculty were ex-posed to the cultures and customs of South America last year. The College of Agricultural, Family and Consumer Sciences sponsors Ethnic Awareness Day each year. “The plan is to bring back all past nine countries together next year for the 10th year celebration,” said Butler. When asked about the most interesting part of the event, Nwafulume said it was learning about the different cultures and foods from her father’s homeland. She intends to visit Nigeria some day.